London: Edward Orme, 1804. Full leather. One volume. Folio. The Costume of Hindostan, elucidated by sixty hand coloured full page engravings; with descriptions in english and french taken in the year 1798 and 1799. Bound in full navy blue straight grain morocco, covers and spine gilt decorations, six compartments between raised banding, gilt titles, all edges gilt, housed in a slipcases, Fine. Lehrbuch der praktischen Blitzableitungskunst nebst den Angaben der neuesten Naturforscher die Elektrizität der Atmosphäre zu erforschen als Fortsetzung der theoretischen Blitzableitungslehre. Die Letten in Kurland oder Vertheidigung meines Vaterlandes gegen die Angriffe von G. Merkel in dessen Letten. Kurlands Edlen gewidmet. Curtis's Botanical Magazine; or, Flower-Garden Displayed. [bound with] General Indexes to the Plants Contained in the First Twenty Volumes of the Botanical Magazine. Modo de hacer la operacion cesarea despues de muerta la madre. Panthéon musical. Lithographie v. C. J. Travies. Paris lithographiert v. Rigo & Cie für das Bureau Central de Musique, 1843. Darstellungsgr. : ca. 45 x 75 cm; (Blattgr. : 61 x 90 cm !). - Sehr Selten.- Karikaturen der wichtigsten Komponisten der 1840er Jahre d. 19. Jhdt. vereint auf einem großen Blatt von Charles Joseph Travies de Villers (1804-1859).- Dargestellt sind Meyerbeer, F. Halévy, Niedermeyer, Th. Labarre, Carafa, A. Boieldieu, Berlioz, Grisar, A. Adam, Donizetti, Auber, Clapisson, Montfort, Thomas, Spontini, Balfe und Rossini, der sich in seinem Erfolg sonnt und "Harmonie" an die "Petits Compositeurs" ausschüttet. Unterhalb der Darstellung Bezeichnung der Komponisten mit kurzer Erklärung.- Etw. fleckig und angestaubt, leichte Knickspuren, kleiner Einriß unten.# Famous and rare lithograph caricatures of the principal composers in the 1840.- Meyerbeer, F. Halévy, Niedermeyer, Th. Labarre, Carafa, A. Boieldieu, Berlioz, Grisar, A. Adam, Donizetti, Auber, Clapisson, Montfort, Thomas, Spontini, Balfe and Rossini.- Light foxing and dusty, small edge tear. Charte von West Indien Nach Edwards, De la Rochette, und den neuesten Astronomischen Beobachtungen entworfen von F. L. Güssefeld. Weimar Im Verlage des Geograph. Instituts 1804. Geographisches Institut, Weimar 1804 - Copper engraving, hand colored in outline and wash when published. In excellent condition. Friedrich II., der Große (Berlin 24. 01. 1712 - 17. 08. 1786 in Potsdam). König von Preussen. "Friedrich IIte in der Schlacht bei Kunersdorf. Frédéric II à la bataille de Kunersdorf". Friedrich zu Pferde, neben ihm Rittmeister v. Prittwitz, in der Schlacht von Kunersdorf beim Rückzug, i. Hgr. kämpfende Truppen,. - Kupferstich v. D. Berger n. L. Wolf, 1804, 49 x 61 Fachgerecht restauriert. Bemerkungen auf einer Reise von der türkischen Gränze über die Bukowina durch Ost- und Westgalizien, Schlesien und Mähren nach Wien. Paris, 1804. Half title. Contemporary half speckled calf and salmon boards, spine gilt, green leather labels. Some minor flecking to spine, but still bright and nice. A very good, fresh copy. 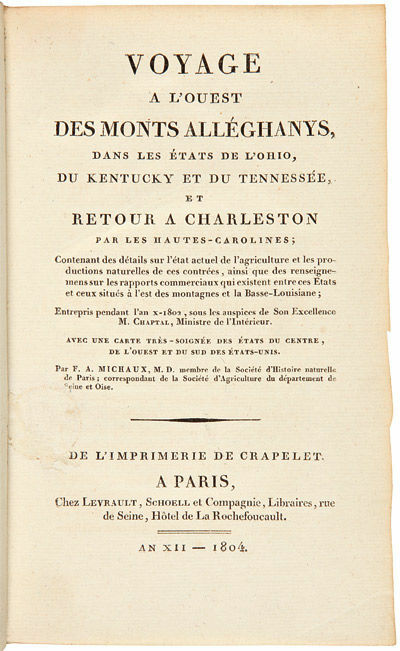 "...The zest with which Michaux describes some of the wonders of the West in this brief and discursive journal is as pleasant as his intelligent discussion of economical facts, and puritan domesticity in the East...he gave his countrymen a correct and impressive idea of the products and promise of the great West, but more especially of Ohio and Kentucky" - Thomson. A classic travel narrative by one of the great early naturalists in America, later famous for his work on trees. With a handsome folding engraved map of the United States. HOWES M579. HUBACH, p.38. MEISEL III:365. SABIN 48703. THOMSON 822. MONAGHAN 1063. CLARK II:106. STREETER SALE 830. [Paris 1804]. 3/4 Red leather, raised bands, split to spine,. mended, 67 hand-colored litho plates, folio, 27 x 37 cm.,. co-author George Mason, no title page or text, just the fine. plates, French captions, usual rubbing to spine,corners.RARE. A major collection of the earliest & best color illustrat- ions of China during from the early 1800's. Nicely done, it shows various Mandarins, tradesmen, royalty & all phases of Chinese society, fashion & costume, architecture. A true & accurate guide to what Chinese society looked like and what they did around 1800. Printed lithographic plates finely hand-colored, large size work. Covering all phases & aspects of Chinese life, culture & activities. Includes some punish- ments as well. A highly collectable work. * Color scans can be sent by email. Images displayed may not always be the exact photo of the copy in stock for sale at any given time. If you want to see the exact image of the book or edition in stock today, please request this by email. . Photos of most of our books are posted to our . Travels of Anacharsis the younger in Greece. During the middle of the fourth century, before the Christian æra.... The first American edition. Philadelphia: Pr. by Bartholomew Graves and William McLaughlin for Jacob Johnson & Co. 8vo signed in 4s (22 cm, 8.625"). Vol. I: xviii, 419, [1 (blank)] pp. ; fold. map; II:  f., iii, [1 (blank)], 403, [1 (blank)] pp. ; III: vii, [1 (blank)], 463, [1 (blank)] pp. (lacking half-title); IV: vii, [1 (blank)], 496 pp. 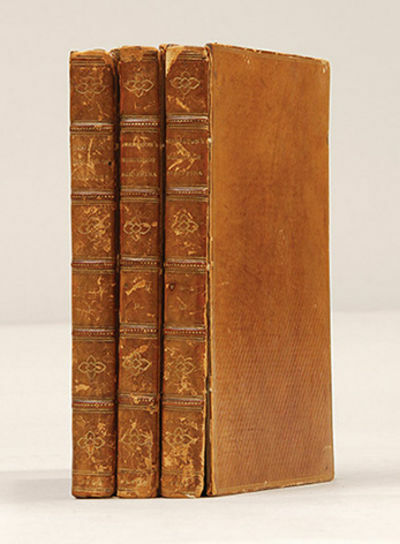 (lacking half-title).. 1804 Translated from the French by William Beaumont for the original English printing. Really a textbook on the daily life and culture of ancient Greece, primarily centered around Athens, this lengthy work is "so written, that the reader may frequently be induced to imagine he is perusing a work of mere amusement, invention, and fancy" (p. iii). Footnotes citing a multitude of classical sources back up Barthelemy's imagined journey, which is illustrated with an attractive engraved map by du Bocage. 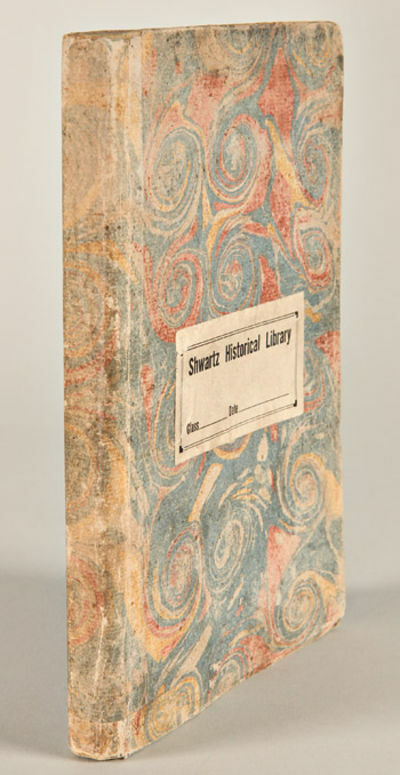 Recently rebound in period-style tan cloth over light blue paper sides, spines with paper labels. Contemporary ownership inscription to front fly-leaf in each volume. Map with light offsetting and short tear just starting along one fold. First 20 leaves of vol. II waterstained and last 10 foxed; otherwise only scattered incidences of spotting in all volumes, pages generally clean. => A nice-looking set, and still — as it always was! — a work offering a pleasant way to absorb ancient history. Edinburgh: Arch. Constable & Co., 1804. 8vo., (8) + 482pp., without the half-title but with the folding table, occasional minor foxing and a few insignificant rust marks, contemporary half calf over marbled boards, spine simply gilt with red morocco lettering piece. A very good copy with the binder's ticket on front pastedown of J. Tushingham of Chester.> First edition. Goldsmiths 18801. Kress B.4816. Einaudi 3628. Hollander 2398. Amex 288. Mattioli 2194. Sraffa 3233. An important commentary on Smith's Wealth of Nations>. 'Specifically, Lauderdale asserts that: (1) the maximisation of private riches does not lead to maximum public wealth and welfare; (2) labour is not the cause of value or an adequate measure of new value; (3) division of labour is not a major factor in economic growth; (4) parsimony and saving are frequently a public detriment as they may lead to over- investment and a capital glut; and (5) government tax revenues applied to rapid debt reduction will reduce aggregate consumption, deflate profits and capital values, and result in economic distress.' (New Palgrave> 3, p.137). 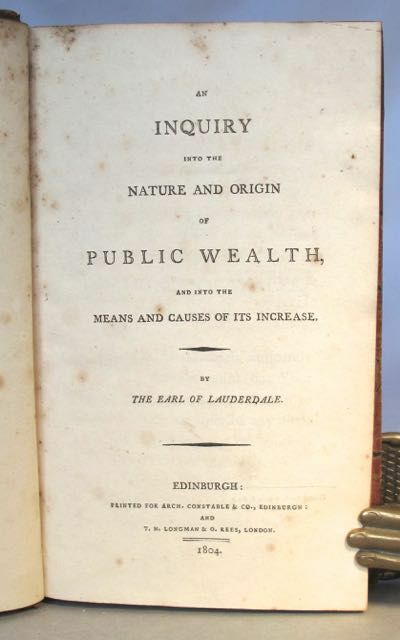 'To Lauderdale belongs the credit of having been the first to put forward a connected theory on the nature of profit, in the form of a theory, and not of scattered observations. Lauderdale's importance in the history of economics lies not in his conclusions but in the fact that he was the first in England to consider systematically the fundamental conceptions on which the science is based. In this respect alone he is in advance of Adam Smith.' (Palgrave (1926)> II, p.574). Philadelphia: C.P. Wayne, 1804-07. First editions. 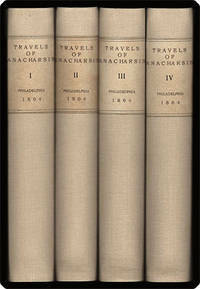 6 volumes, including the atlas, which contains 10 maps. Octavo, bound in full contemporary sheepskin, green and red spine labels. Atlas in the original boards with orange printed cover label. In very good condition with minor edge wear. The scarce quarto atlas contains its own title and a 22-page list of subscribers (Adams, Jefferson, and Madison are all listed). John Marshall's description of the life, character, and achievements of the "Father of America" is unparalleled by any other author. As a contemporary and peer of Washington, he has a unique and intimate perspective on the man that no other historian can claim. If you want a first hand description of this history changing figure, than John Marshall's work is essential. The work "is political history as well as biography... the only comprehensive account by a great statesman of the full founding of the United States-- of the founding of an independent people as well as of its government... There is no other concentrated history of the essentials by such an authority on American institutions" (Robert K. Faulkner). Über die von der Könogl. Akademie der Wissenschaften zu Berlin für das Jahr 1791 ausgesetzte Preisfrage: Welches sind die wirklichen Fortschritte, die die Metaphysik seit Leibnitzens und Wolf's Zeiten in Deutschland gemacht hat? Herausgegeben von Friedrich Theodor Rink. Descripción económica del reyno de Galicia. Por la Junta de Gobierno del R.L Consulado de La Coruña. Su redactór: Don José Lucas Labráda, Secretário (Por S. M.) del mismo cuerpo. Paris: Ballard, 1804. 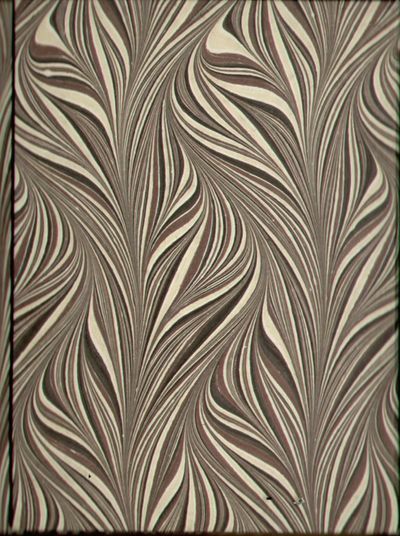 Later 19th-century marbled wrappers. Library label on front cover from Shwartz Historical Library. Minor rubbing and edge wear. Bookplate on front pastedown. Loss to portions of thirteen leaves, affecting some text, reinforced with tape. Dust-soiling to titlepage, dampstaining to some leaves toward end of text. Lacking pp.19-30. A battered copy of a great rarity. An extraordinarily rare account of travels in Louisiana, the Mississippi Valley, and the Illinois-Ohio country, especially interesting in that the travels practically coincide with the Louisiana Purchase. The work has been attributed to either Wante or G. Boucher de la Richardiere. "The author - whoever he was - travelled extensively throughout the lower Mississippi Valley" - Howes. "There is also much on the Illinois-Ohio country, but the body of the work has to do with the Louisiana Cession" - Eberstadt. Incomplete but quite rare, as Howes accorded it a "b" rating. The great Simon Shwartz library of Louisiana material had a copy, sold for $15 in 1926, in blue morocco with an inked name on the titlepage. This is perhaps an additional Shwartz copy not auctioned at the time. The only other copy we can find any record of selling is that listed by the Eberstadts in 1953. HOWES W87, "b." SABIN 101246. EBERSTADT 132:412. SHWARTZ SALE 622. London: Printed for John White; by John Nichols and Son, 1804-18. 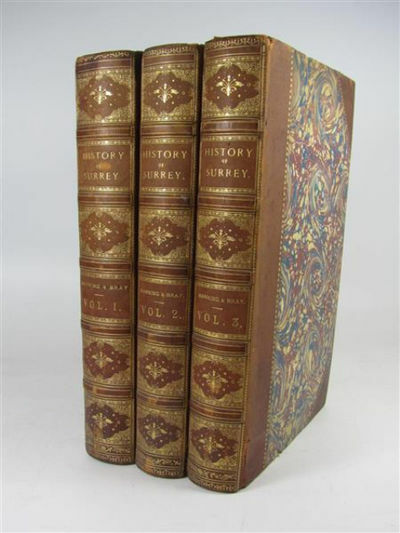 First edition, 3 vols., folio, , v-xiv, , ii-cviii, , 7-714; , iii-xvi, 860; , iii-viii, 702,  ii-ccxxxpp., 97 engraved plates, 2 large folding maps, 13 facsimile leaves, 13 folding pedigrees, some light staining to frontis and title to vol. II with repairs, some occasional scattered foxing, several plate lightly offset, cont. 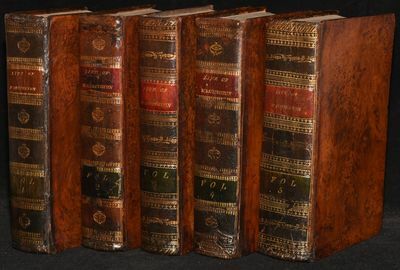 full Russia leather, marbled boards, spines gilt tooled extra, slight stain to head of vol. I, a couple of short cracks to joints, lightly rubbed, a.e.g. a handsome set. Provenance: Signature of "William Hardman, Norbiton Hall, 1867" to title-page on vol. I; Bookplate of James S. Burgett to front paste-down. Upcott III, pp. 1209-1216. Flegeljahre. Eine Biografie von Jean Paul Richter. 4 in 2 Bde. Tübingen, Cotta, 1804. Titel, 224 S.; Titel, 229 S.; Titel, 230, 1 Bl. ('Druckfehler des I. Bändgens'); 311 S. Pp. d. Zt. mit RSch. u. RVerg. (etw. berieben). London Albion Press 1804. VG : in very good condition with marbled eps. Cover lightly rubbed with some edge wear. Details of a previous owner on verso of fep. 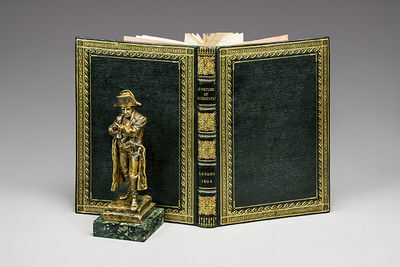 Aeg First Edition Leather hardback cover with gilt motif 220mm x 130mm (9" x 5"). 542pp. 16 engraved plates and title page vignette [Thomas Bewick]. 'With An Interesting Selection Of The More Extraordinary Events Which Have Transpired In The Sporting World; A Correct Description Of The Animals Of Chase; And Of Every Other Subject Connected With The Various Diversions Of The Field. '. - Thieme-Becker XXXI, 562 - nicht in Nebehay-W. - Schönes und seltenes Blatt des Augsburger Landschaftsmalers Joseph Steingrübel (1804-1838).- Vollständig auf Japanpapier aufgezogen, Ränder mit kl. Läsuren. Charte von Nordamerica nach den neuesten Bestimmungen und Entdeckungen von C. G. Reichard. - Weimar Im Verlage des Geogr. Instituts revidirt im August 1804. THE LIFE OF GEORGE WASHINGTON, COMMANDER IN CHIEF OF THE AMERICAN FORCES, DURING THE WAR WHICH ESTABLISHED THE INDEPENDENCE OF HIS COUNTY, AND FIRST PRESIDENT OF THE UNITED STATES..
Philadelphia: C. P. Wayne, 1804. Full Leather. Very Good binding. 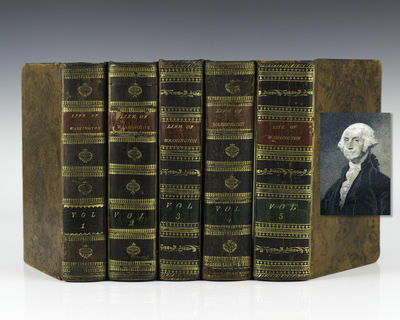 The First Edition in five volumes of the first serious biography of Washington and really a comprehensive account of the founding of the nation. Washington's executor selected John Marshall to write the biography, and in that sense it might be considered "an authorized biography". But it is more than that. Marshall was Washington's personal friend -- he knew the man, and he knew the new republic. His work gained authoritative status almost immediately. 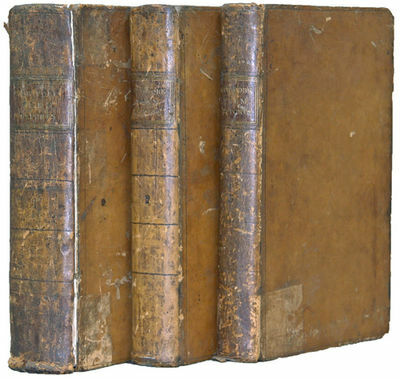 A married set, in contemporary and compatible bindings the spines of which have been repaired. With the engraved frontispiece portrait in Volume I. (Howes M317; Sabin 44788. Shaw & Shoemaker 6710.). Very Good binding. Einzig aufrichtige Anweisung zum Destilliren aller möglichen Breslauischen, Danziger und anderer Liköre, Rosalis und Aquavite in 211 Rezepten. Mit deutlicher Erklärung jeder Verfahrungsart und Zucker- und Farbenbereitung, nebst einem Anhang für Branntweinbrenner; von einem 16 Jahre praktizierenden Breslauer Destillateur G. B. K. Zweyte, rechtmäßige und verbesserte Auflage. Chirurgische Abhandlung über die angebornen krummen Füsse der Kinder, und über die Art diese Ungestaltheit zu verbessern. Aus dem Italienischen übersetzt, und mit einer Vorrede begleitet von Dr. Malfatti. Rapport fait sur le droit de marque des cuirs. Par un Conseiller d&#146;Ètat en 1788. Reise nach Aegypten [Ägypten] und Bemerkungen über verschiedene Gegenstände während des dreijährigen Aufenthalts der Französischen Armee in diesem Lande (1798 bis 1801) gesammelt von A. G....d. Mit einer Einleitung, Anmerkungen und Zusätzen herausgegeben von Theophil Friedrich Ehrmann. Reise nach Aegypten [Ägypten] und Bemerkungen über verschiedene Gegenstände während des dreijährigen Aufenthalts der Französischen Armee in diesem Lande (1798 bis 1801) gesammelt von A. G.d. Mit einer Einleitung, Anmerkungen und Zusätzen herausgegeben von Theophil Friedrich Ehrmann. New York, 1804. Contemporary calf. Rubbed, slight wear, hinges of volume one cracked but cords sound. Overall good. Prior to the publication of these reports, all legal reports issued in the United States had been private efforts. In 1804 the New York legislature provided for the appointment of a reporter to the state supreme court, and Caines became the first official reporter in the United States. According to the DAB, the three volumes of reports he issued were "distinguished by brevity and accuracy, and for long enjoyed a high reputation with both bench and bar." These reports thus inaugurated a new era in the reporting of cases, as well as including a number of important cases from the Jeffersonian era.